Are you a network leader? Need to find a network? If you are a network leader, create your profile, interact and partner with other leaders. 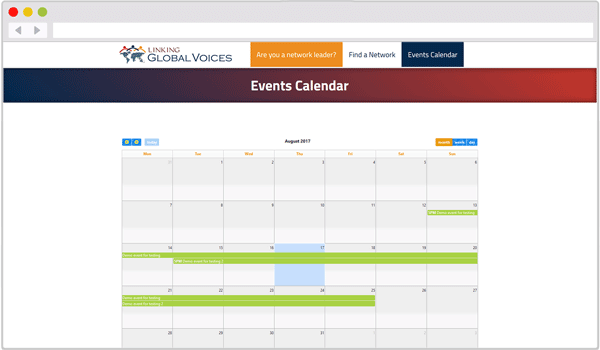 See the upcoming network events. Tell us about your event. 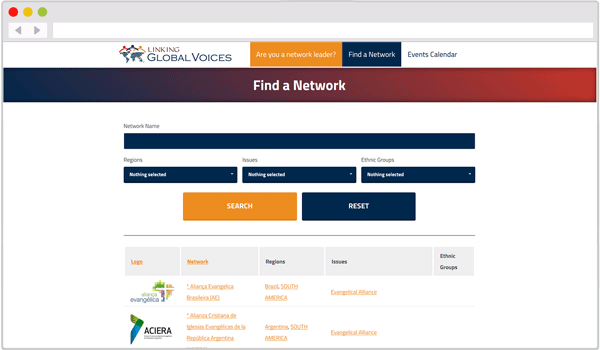 Linking Global Voices serves the global missions community by focusing on the unique role of networks. We live in an unprecedented period of mission history. The new paradigm of “from anywhere to everywhere” is by nature complex, resulting in an increasing need to partner with others for effective ministry. 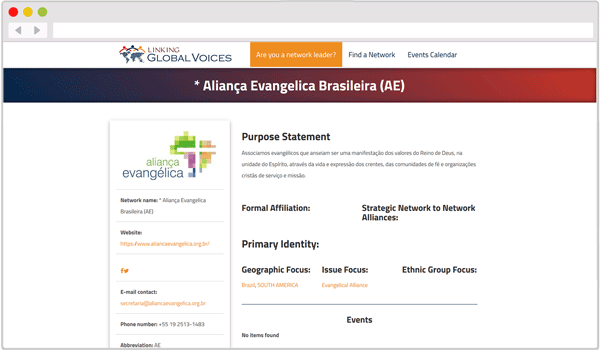 Networks are a strategic tool for ministry leaders navigating the complexities of the globalized world of missions. Mission minded churches and agencies are developing their “network engagement strategy”. Healthy networks facilitate the sharing of resources and are constantly birthing partnerships.